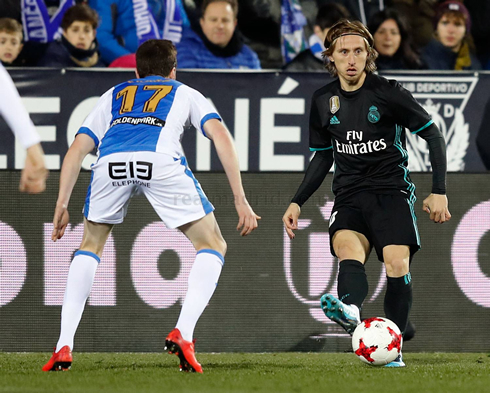 With La Liga virtually lost, Real Madrid has definitely turned their focus and attention to the Copa del Rey, as they face Leganés in the quarter-finals of the competition. The first leg was away from home and ended with a positive result for Zinedine Zidane's men earlier tonight, who defeated the hosts by 1-0. It's hard to explain but at this stage of the season, the Copa del Rey is probably one of Real Madrid's biggest objective of their 2017-18 campaign, right behind the Champions League. 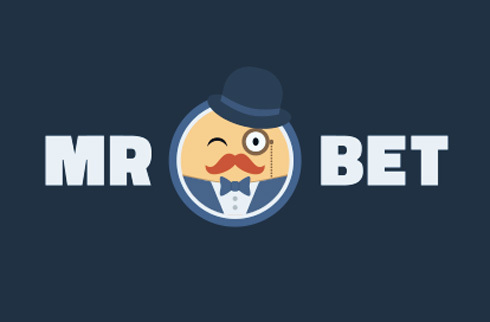 This Thursday, the Merengues travelled to Leganés to face the local side in the Copa del Rey quarter-finals first leg and are returning to the Spanish capital with an important 1-0 win advantage, a result predicted by pretty much any online casino and many experts. 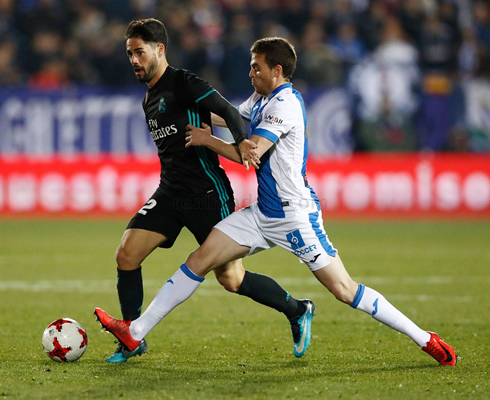 The only goal in this match was scored in the 89th minute by Marco Asensio, his 8th of the season. The Spaniard showed his world-class finishing touch from a cross coming from the left. The two teams will meet again next week for the second leg, but this time the stage will be the Santiago Bernabéu. 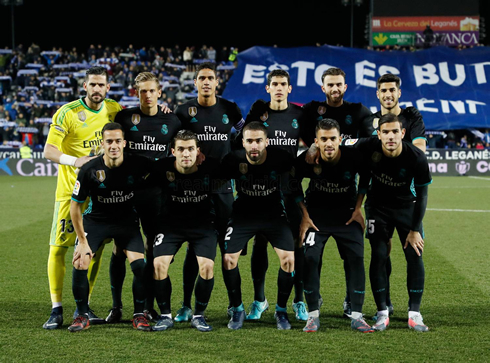 These Copa Del Rey victories and the performances attached do absolutely nothing to quell the fears of an increasingly worried Real Madrid fanbase. We just can't seem to score a goal and it doesn't matter who is actually playing, we are incapable of causing serious danger in the final third. Worst yet, when we actually get there we have no clue how to convert. To be fair, Leganes have been one of the best defensive teams in the league, but that shouldn't be a problem for a squad that beat Juventus 4-1 in the Champions League final just a few months ago, even if this was the reserves. 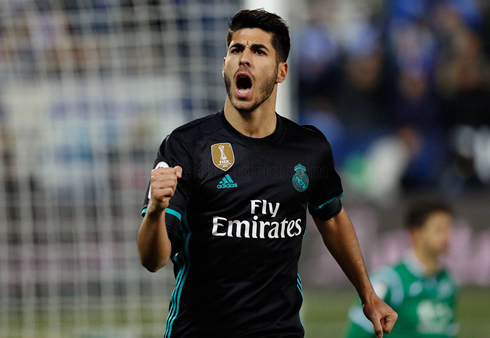 Thankfully, a late (88th minute) Marco Asensio goal was enough to give Real Madrid a vital away victory. 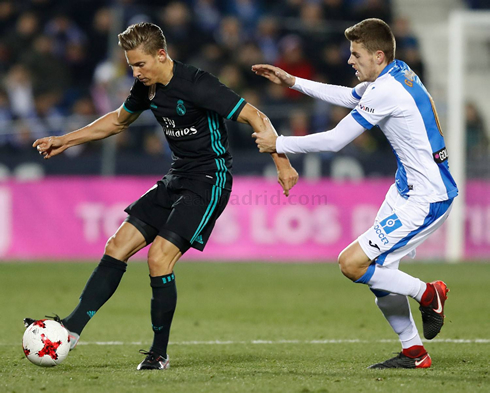 The young midfielder got on the end of a Theo Hernandez cross and buried his shot into the top corner of the near post, sparing Madrid's blushes and giving them a crucial advantage going into the second leg of the round, scheduled for next week. It's a great result however and Real Madrid look forward to the weekend and a matchup with Deportivo de la Coruña. The BBC (Bale, Benzema and Ronaldo) was benched today, which means we could be seeing them all play this Sunday against Depor. Cristiano Ronaldo next game for Real Madrid is on January 21 of 2018 against Deportivo de la Coruña. You can watch Juventus live stream, Real Madrid vs Deportivo, Brighton vs Chelsea, Burnley vs Manchester United, Derby County vs Bristol City, and Hertha vs Borussia Dortmund, all matches provided from our live football game pages.